A just world would be one without royalty — and celebrity humanitarians. The British royal family has had a banner decade. Intentionally or not, the latest generation’s charisma, combined with a steady stream of high-profile media events from the Queen’s diamond jubilee and the 2012 Olympics to William and Kate’s wedding and their first, second, and third kid, has made the royal family more popular than ever, partially suppressing the British public’s rising tide of republican feeling. Prince Harry’s recent engagement to Suits actress and activist Meghan Markle has reinforced this process, foreshadowing a literal marriage of Hollywood glitz and British royalty. 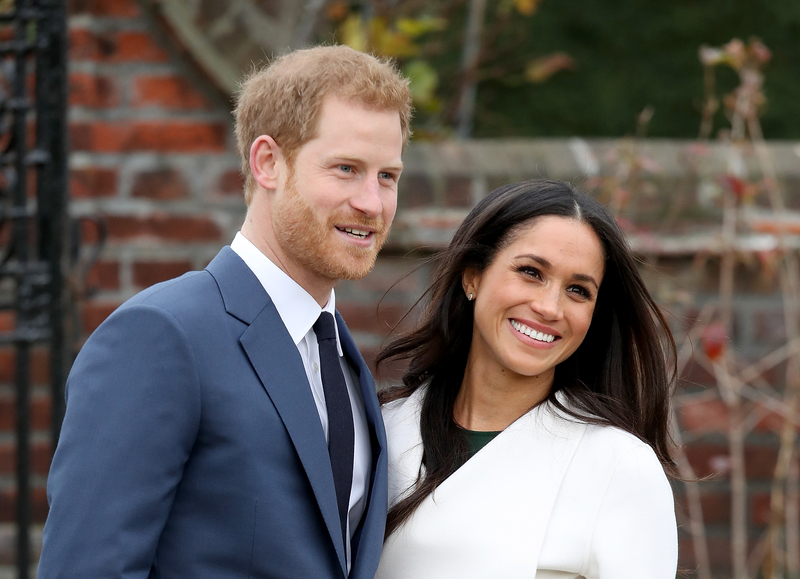 The public has almost universally gushed over Markle since her relationship with and now engagement to Prince Harry was revealed, and it’s not hard to see why. The fact that she’s not only a “commoner” but American — and a person of color at that — signifies the changing face of the British monarchy. But most profiles have zeroed in on Markle’s outspoken feminism, her criticism of the Trump administration, and her humanitarian work for the UN and the charity World Vision. Pundits have also expressed their disappointment that she will have to curb her activist streak upon marrying into the family. And all of that is perfectly salutary. But as with Princess Diana — another humanitarian royal beloved by the public — associating a well-liked celebrity and her work with NGOs with the fight against global poverty risks distorting our understanding of what it would actually take to eradicate exploitation and misery. Consider the money being thrown around here. World Vision, for whom Markle served as a global ambassador, commands an average yearly operating revenue of around $1 billion. Others make do with far less. The Against Malaria Foundation (AMF), which distributes malaria nets, has recently reported annual revenue ranging from $10 to $18 million. Give Directly, which sends money to the poor in Kenya and Uganda, has had an after-expenses revenue of around $8 or $9 million, except in 2015, when it commanded $34 million. Give Well included the latter two in its list of the world’s top charities — a list that, it should be said, doesn’t include the far better-funded World Vision. Nonetheless, these are large sums of money. But they pale in comparison to the unimaginable wealth the rich are stowing away in offshore accounts, which amounts to anywhere between $13 and $32 trillion. According to the Guardian, assuming these funds accrue at 3 percent per year, taxing that income at a rate of 30 percent would yield more annual income than rich countries currently spend on aid to the developing world. But this isn’t quite right because Oxfam only based that on the $156 billion worth of tax revenue that’s lost each year, a tiny fraction of the total stash. Imagine what higher tax rates on such wealth could achieve — or better yet, what would happen if the obscene total of trillions of dollars currently sitting around doing nothing went toward ending poverty and disease. It’s not as if Western powers lack leverage: more than $12 trillion of this total was in European Union tax havens, according to Oxfam. But of course, repatriating these sums and stopping the proliferation of such inequality will require the grubby work of politics and mass movements capable of pressuring governments, not the individualistic work of celebrity ambassadors. Consider the family Markle is joining, which is worth billions. Queen Elizabeth alone has a personal net worth of around $500 million. Yet they still receive tens of millions of dollars of tax-free income from the British government, despite the fact that most of them — as we’re frequently reminded — have jobs as well as a sprawling web of investments. Incidentally, as the Paradise Papers leak revealed, part of that web of investment saw £10 million of the Queen’s private money invested in funds in the Cayman Islands and Bermuda, a fact that caused considerable outrage in the United Kingdom just weeks before Harry and Markle fortuitously announced their engagement. Nevertheless, the Queen is getting a 78 percent pay raise this year, bringing her yearly “sovereign grant” to $97 million, where it’s expected to stay for the next decade so that she can refurbish Buckingham Palace. That total would not only pay for the AMF’s work five times over, but it could also put a serious dent in the $66 billion figure Oxfam says could eradicate extreme world poverty. None of this is Markle’s fault, of course. She seems like a genuinely well-intentioned person, and we shouldn’t demonize her simply for the finances of her fiancé’s family. But it’s still important to remember the vast sums of money the world loses to both unnecessary monarchist subsidies and to tax evasion, sums that dwarf the revenue of even relatively well-funded organizations like World Vision and that could be put to use to end human misery around the world. A just world will not only be one where outmoded institutions like the monarchy no longer exist, no matter how glamorous, charming, and well-meaning today’s royals are. It’s also one where we won’t need any more celebrity humanitarians.